Dynamics for the eye as well: the design. 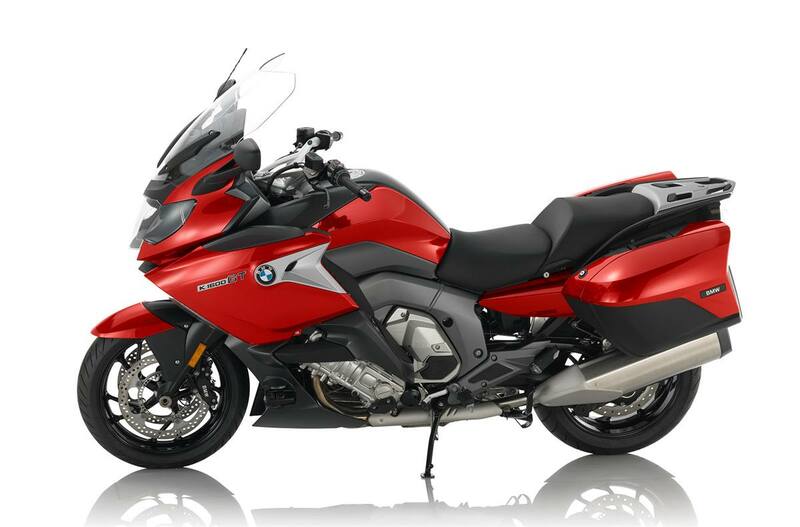 The dynamics and comfort characteristics of the K 1600 GT are also reflected in the design: The Duolever front suspension, the xenon headlight with optional Adaptive Headlights, the powerful 6-cylinder engine and the frame make the high-quality overall image really stand out. The front and side views are athletic and sharp to ensure a sporty, streamlined appearance. The 6-in-2 muffler reflects the potential of the 6-cylinder engine both visually and acoustically. The remarkable appearance of the K 1600 GT is supported by the high-quality paint finish: from exclusively discreet to sportily dynamic. You decide what suits you. The equipment that comes on the standard K 1600 GT model is already considered the highest quality and leaves nothing more to wish for: ABS Pro, which ensures safe braking even when leaning, the innovative xenon headlight and the multi-controller just to name a few, and the newest addition to standard production: the dynamic ESA. The chassis recognizes changes in road conditions and riding style and controls the damping action in milliseconds based on feedback from the lean-angle sensor and control units. In doing so, it ensures the best damper settings in various riding situations. Even when leaning into turns, superior damping comfort and stability is achieved. The legendary in-line six-cylinder engine turns every ride into pure enjoyment. Thanks to extremely smooth acceleration and power delivery, its dynamic performance is unmatched. 160 hp (118 kW) and 129 lb-ft of maximum torque provide effortless thrust. The smallest movement of the throttle results in an immediate response while providing the superior control and handling of a thoroughbred. Do you want some more? The optional equipment. Numerous options like the adaptive headlight, keyless ride or central locking at the touch of a button provide an even more comfortable, safe and relaxed ride. Thanks to Reverse Assist, maneuvering out of parking spaces is effortless, even on an incline. The Shift Assist Pro offers dynamic up- and down shifting without the use of the clutch. With the optional topcase, tank bag and touring cases to complement the generous standard stowage, there are several storing possibilities for everything you want to take with you. 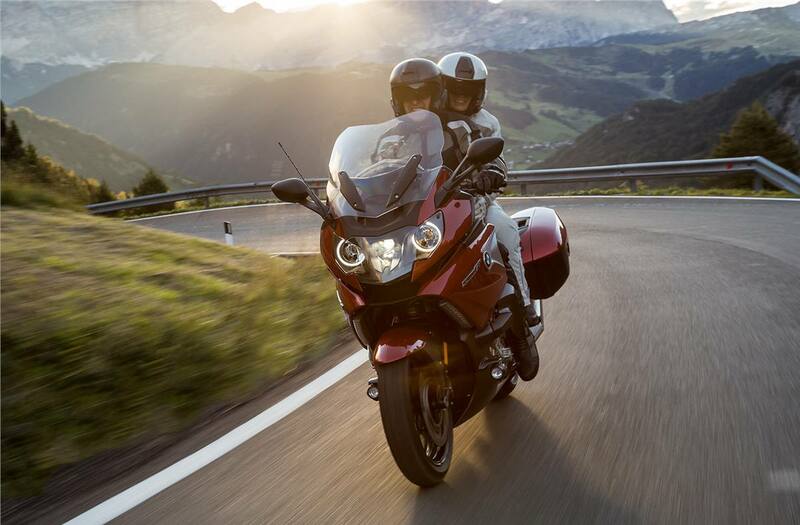 Regardless of whether it’s on a long journey, a short trip or your daily route through town, the K 1600 GT keeps its promise when it comes to its sporty appearance and high-quality equipment. This is where dynamics and comfort complement each other to ensure pure riding pleasure. Technical data relate to the unladen weight (DIN): measured according to guideline 93/93/EWG with all fluids, fuelled with at least 90% of usable tank volume.